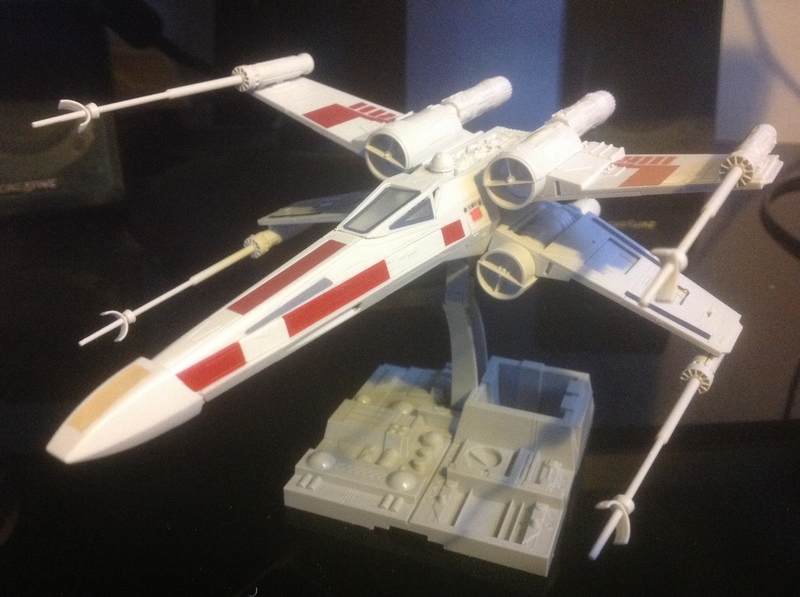 I've been looking for a decent X-Wing model to go alongside some of my other scifi themed shelf taking up space decorative items and nothing seemed to be just right. 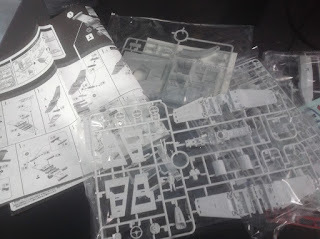 I did see this Bandai self assembly snap fit model on Amazon (sourced from Japan) and the price was reasonable and it got some good reviews for quality and ease of assembly so I took a chance and I think it came out rather well. I would say however you need a much more patient and gentle touch when it comes to applying the various decals, after a few basic additions to the model I just gave up and called it a day.